Preheat oven to 210 C (425 F). Place parchment paper onto a baking sheet. Combine dry ingredients into a bowl and mix with a fork to blend well. Chop butter into small pieces and add to dry ingredients. Rub into dry ingredients with tips of fingers until it resembles course bread crumbs. Separate the yolk, add to a cup along with the cream and mix well with a fork to blend. Add all but a small amount of the cream mixture to the dry ingredients, saving a scant tablespoon of mixture to brush over the tops of the scones. Mix the dough until it comes together as a ball, then turn onto bench top that has been dusted with GF flour. Knead just a few times until it is quite consolidated, then pat into about a 15-20mm (3/4 inch) thick, round shape. Place onto the baking sheet and make cuts right through so that there are 8 small, wedge shaped scones. Brush with the remaining egg and cream mixture. Bake for 12-13 minutes. 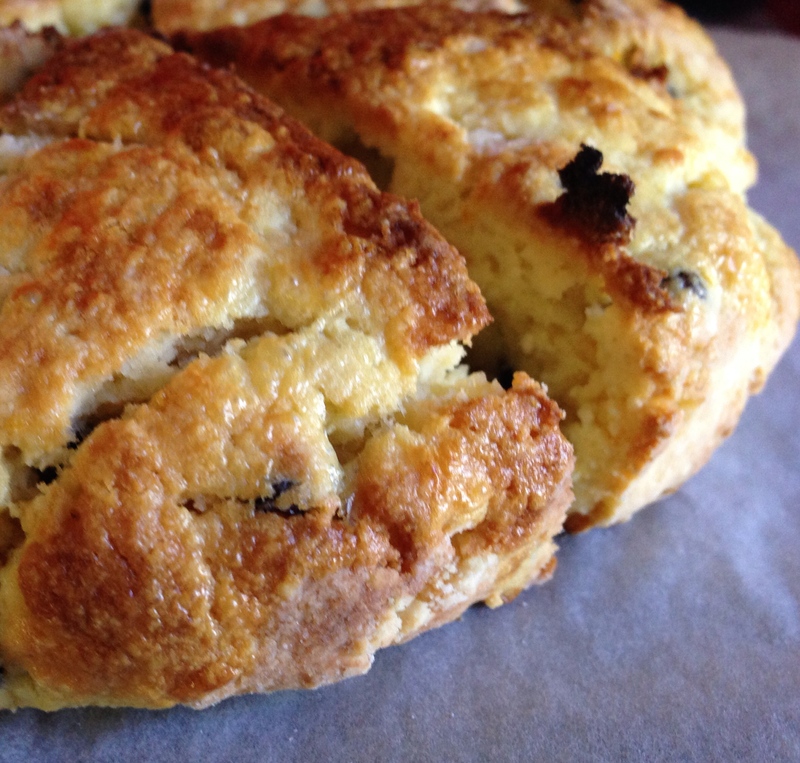 The scones will be fairly crumbly, but delicious, if eaten while warm. Or they will become slightly firmer as they cool. Also the sweetness develops a bit further as they cool. The inside is a very tender, soft texture with a nice outer crust.